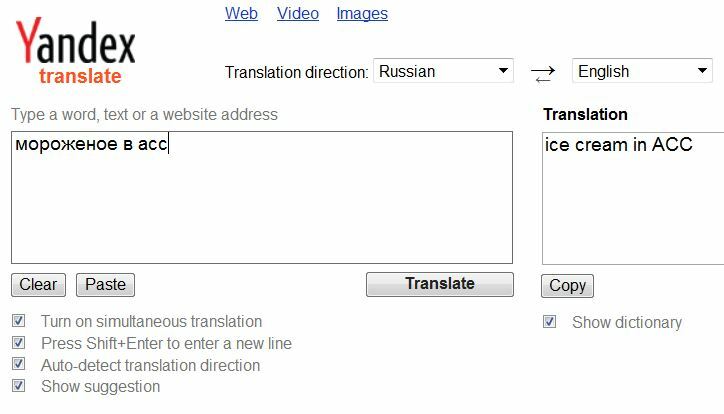 You are here: Home / Language Technologies / Machine Translation / Unless you want “Ice Cream in the a*s” use Yandex for Russian MT, or better still a human! I’m often asked why we need professional translators when Google Translate (for example) is free. 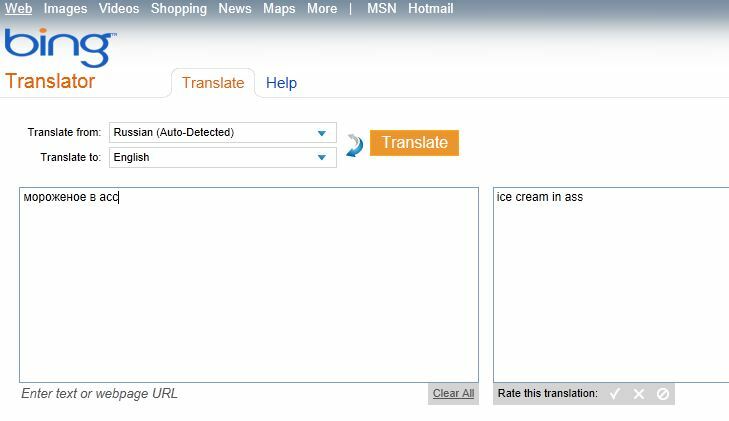 The short answer is because Google Translate, and other MT engines, can make mistakes. The picture below, of a mistranslation from a Russian Menu, has been circulating on Facebook. “в асс.” is short for ассортимент or assortment, meaning choice – and has been badly mistranslated. 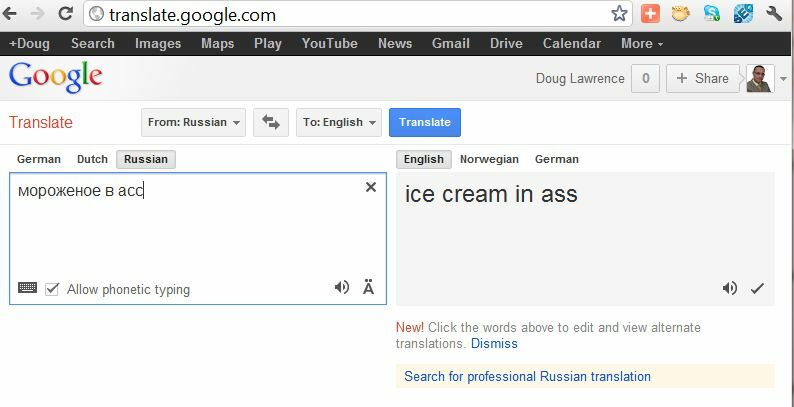 So if you’re going to use machine translation for Russian unless you want your ice cream in the “a*s” use Yandex, or better still a professional translation provider.